© Michael Slay. All rights reserved. 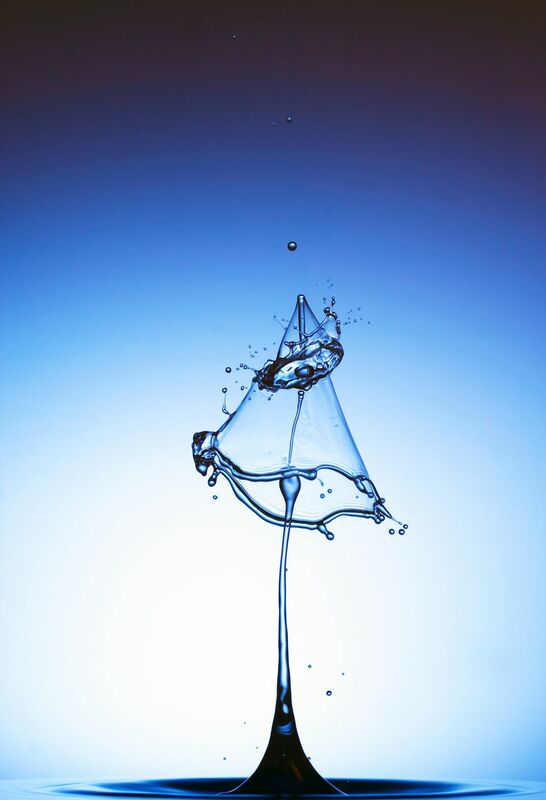 High speed photograph of two water drops colliding. Everyone has seen the drip of water from a faucet fall into a sink and the resulting plop resulting in a small column of water. 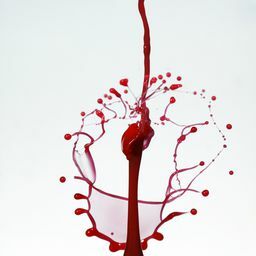 What we rarely notice is that sometimes another drop follows that first drop and they collide creating a sculpture that happens in a millisecond.